Your child has entered those critical preschool years and is now well on the path toward Kindergarten. What do you do now? 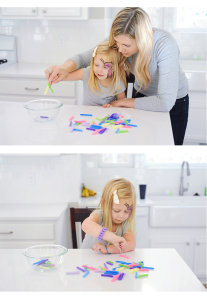 Whether you are a first-time parent or a veteran, finding activities and ideas that can stimulate and prepare your child’s fine motor skills may be trickier than you thought or maybe you are experiencing a “been there done that” approach. There has to be more ideas to help with fine motor skills than just teaching your child to color inside the lines right? Either way, a number of activities we do with our students not only prepare them for reading, writing, tracking, and hand-eye coordination, but they are fun, enjoyable, and challenging. You can do many of these same activities in your own home and the best part is that it won’t break your pocketbook. 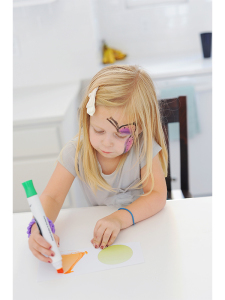 Tracing is by far one of the best methods to help strengthen your child’s fine motor skills. You can purchase these types of activities books at the dollar store or create your own. For this example, print a large number eight on a sheet of paper. Have your child hold a marker or pencil and trace the number eight repeatedly without taking the marker or pencil off the page. This smooth and continuous motion helps children learn to better grasp the marker or pencil and fine tune those skills that prepare them for writing. 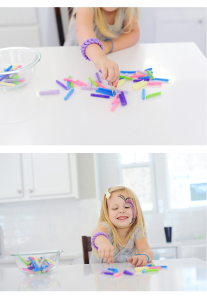 There are all kinds of fine motor activities you can do with the spare change you have lying around the house. 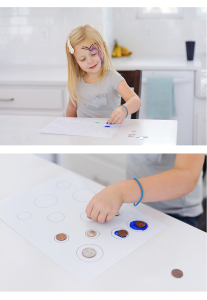 One our favorite activities is to draw or print circles on a page and have your child put the nickels, dimes, pennies, and quarters in each of the circles one at a time. Be sure to use a penny, quarter, nickel, and dime. This way, they get use to the different sizes, textures, and you can use it as a teaching moment for them to start learning what each piece is and its value. Cutting out shapes and objects with scissors is another activity that requires children to master hand separation by using the thumb, middle finger, and index finger. 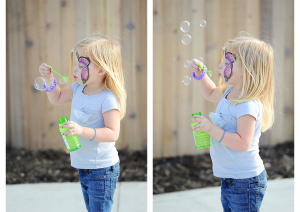 This may be difficult for preschool-age children, but they will develop these skills over time. It is also a good opportunity to talk to you kids about scissor safety and how to handle scissors appropriately. 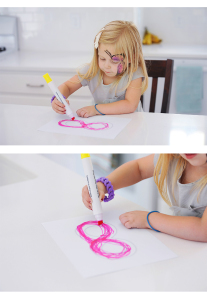 As we discussed earlier, tracing is one of the most important activities your child can do to improve their fine motor skills. However, you must always ensure they start from top to bottom when doing this exercise. 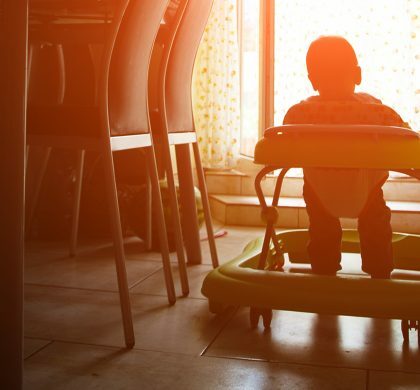 For example, if they are tracing a triangle, a circle, or square, always have your child start at the top of the object and use downward strokes. Why is this important? The downward movement prepares kids for letter formations and spelling when they begin writing letters like A, O, G, Q, and D.
Kids will really enjoy this activity. 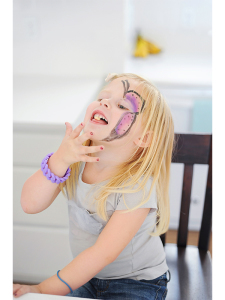 While it may be a little advanced for preschoolers, they will get it with enough practice. If tweezers are too small for them to grip, maybe have them try using tongs from your kitchen. Cut pipe cleaner into smaller pieces and spread them out on the floor or carpet. Then give your child the tweezers or tongs and have them pick up the pipe cleaner pieces individually and put them in a kitchen bowl. This improves their thumb and index finger dexterity for writing. We recently saw this idea featured on Facebook and loved the idea! This idea is especially great for boys, but girls will love it too. Buy a long piece of poster board or white cardboard and draw a road that zig zags from top to bottom. The road can be wider, but make sure the sharp zig zags are very defined. Then have your child get one of their favorite cars or trucks and teach them how to follow the zig zag road with their car. 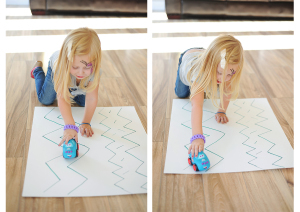 The key to this exercise is for your child to stay within the lines of the road just as they do when coloring a picture. he tissue paper around the eraser of a pencil and then dab the end in some Elmer’s glue. Give them a white sheet of paper and have them glue the tissue paper that is on the end of the pencil to the sheet you gave them. 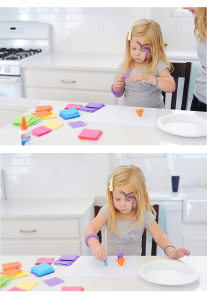 Kids can make flowers, animals, shapes, holiday cards, or any number of things with the tissue paper strips. This exercise plays an integral role in sharpening your child’s hand-eye coordination skills for fine motor development and refines muscles in the fingers for holding and writing with a pencil. On a sheet of paper, make two columns with identical shapes in each column. In the first column, start with the first shape and draw something in the middle of it. For example, if you drew a triangle as your first shape, make three circles inside the triangle. Continue to do this with each shape in your first column using dots, lines, zig zags, or circles. Now your part is complete. Give the piece of paper to your child and in the second column with the identical shapes (without the images you drew in the middle of the shapes), have them mimic or draw the exact same dots, lines, or circles inside the shape. Last, but not least is one of our favorites. Buy a piece of Styrofoam (about 8 inches long and 3 inches wide). Stick a few tooth picks in the Styrofoam and pour some Froot Loops out on the counter. 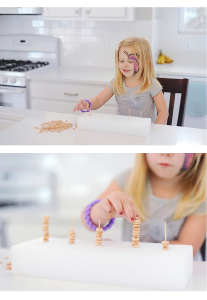 Have your child put the Froot Loops one by one on the toothpicks. They can stack them by putting multiple Froot Loops on one toothpick. 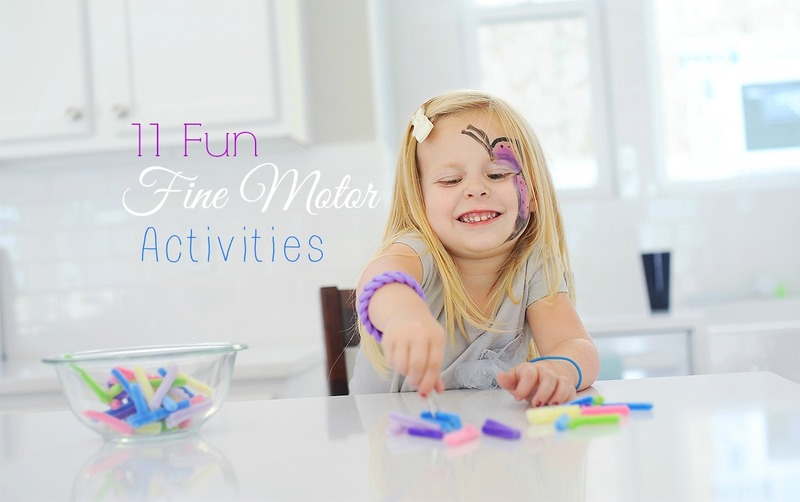 These are just a few great ideas to help define and strengthen fine motor skills. For more fine motor activity ideas, follow us on Pinterest. 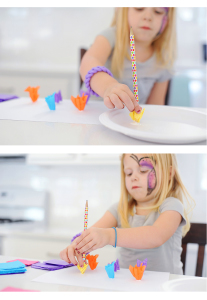 Oh these are great ideas I haven’t seen before – the tweezers and pipe cleaners is cute! Thank you for sharing at #BloggersBrags, I’m pinning it now.